The news that a departing Leftist leader from the radical CFBP had chosen his successor, in an unconstitutional bypass of Trump, reminded us all, again, of the banana republic stylings of the prior Obama administration. It's like the ghost of Christmas Past--always rising up to remind us of the horrors of the last 8 years, under a zero-growth transformative social justice agenda, instituted by the ever-leftward crony-capitalist Obama regime. The rather odd US succession, in this case, sounded almost identical to what happened in totalitarian-socialist Venezuela, after Hugo Chavez died, but left the nation with his authoritarian 2nd in command as successor, Nicholas Maduro; gee thanks, Hugo! Maduro now has his countrymen eating out of garbage cans while treating them to a paleo-diet consisting largely of communist angst and not much else. As a result, the country has lost almost 30% of its weight, while massively eliminating its landfill garbage as a result of manually recycling waste into food--and Regrettably, if the starving doesn't get them the inflation probably will. Back in the US, unelected Former Consumer Financial Bureau Commissar, Richard Cordray, in an anti-constitutional revisionist effort of that same ilk, actually appointed his successor, Leandra English, as the new head, while totaling ignoring Trump's assignment of Mick Mulvaney to the position. As if the departing agency head held more innate authority than the commander-in-chief, seriously? When the Trump Executive Branch trumped Cordray's selection, his associate, a matronly little progressive, with very little to absolutely no common sense, whatsoever, decided to challenge the US government in court, by virtue of an actual lawsuit. Today, a US Federal Court Judge knocked the lawsuit down, granting the Trump administration yet another victory in court, while sending the screechingly rotund little valley girl-radical, swiftly on her way. "In a victory for the Trump White House, a temporary restraining order to halt the president's pick for acting director of the Consumer Financial Protection Bureau (CFBP), Mick Mulvaney, was denied by a judge Tuesday afternoon. 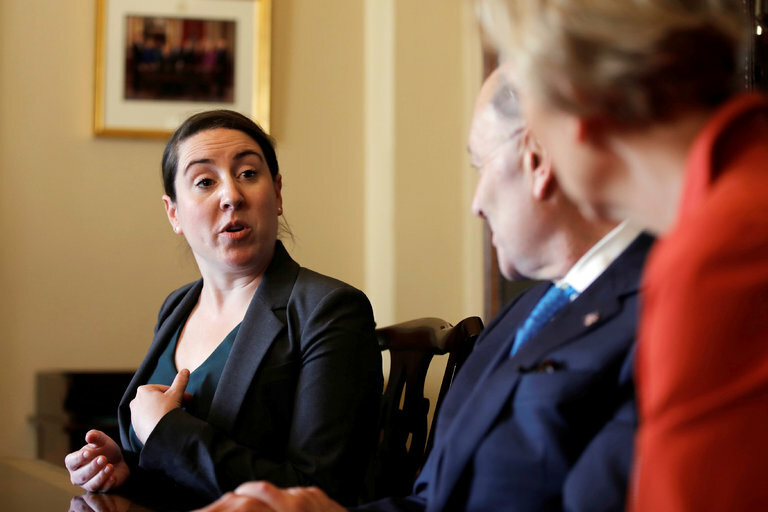 A lawsuit was filed Sunday night by Leandra English, the federal official appointed to lead the bureau by its outgoing director, Richard Cordray, against the president and Mulvaney. The suit requested a declaratory judgment and a temporary restraining order to block Mulvaney from taking over the agency.